If there’s one name that’s all over open-wheel racing lately, it’s Alexander Rossi. Not only was he the first American to race in Formula One in years, but this year, he won America’s most famous race: the Indianapolis 500. So, of course, Rossi’s here with us live now to answer all your questions. There’s a lot of us who are curious: where does he go from here? The Indianapolis 500 is spoken in the same breath as the 24 Hours of Le Mans and the Monaco Grand Prix as part of motorsport’s triple crown. It’s a legendary race. 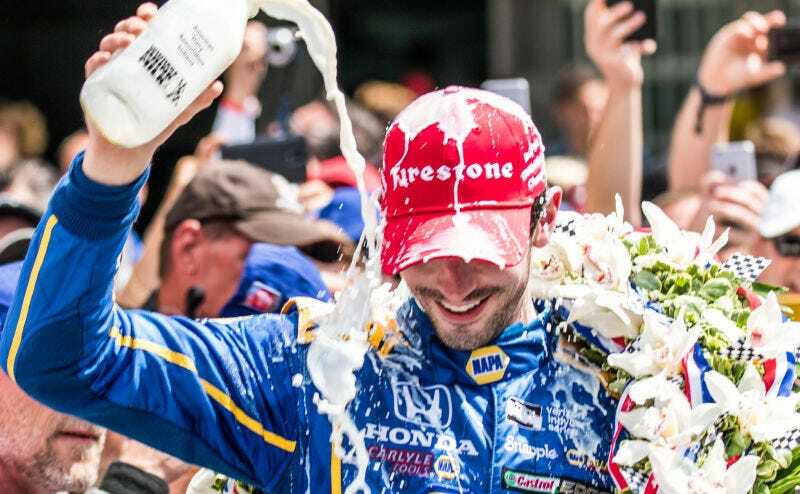 What kinds of opportunities open up after an Indianapolis 500 win? And what about his Formula One reserve driver gig? Manor kept Rossi as a reserve driver after he didn’t land a full-time F1 drive this year, and they’ve allowed Rossi to pursue a full season in IndyCar while holding down that role. How did that world react to Rossi winning IndyCar’s biggest show? Here’s your opportunity to ask Rossi about anything you want: F1, IndyCar, or even what he ate for breakfast this morning.